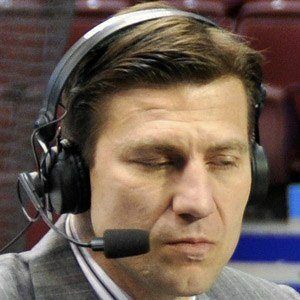 Former hockey player turned radio and television analyst for programs like "Hockey Central at Noon". As an NHL player, he won the Stanley Cup as a member of the 1993-94 New York Rangers. He played junior hockey for the North Bay Centennials in the Ontario Hockey League. He appeared as a hockey player on an episode of the HBO show "Arli$$" in 1996. He married a woman named Anne-Marie and has children. He and former NHL player Craig Simpson have both hosted NHL on Sportsnet.